Mandolines have been around for hundreds of years, and although they have evolved over time, their basic design remains the same. 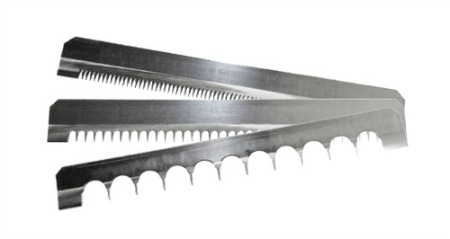 All mandoline slicers are equipped with a blade, and in most models, they also feature a main platform or surface. The blade is an essential element when it comes to the functionality of a mandoline slicer. Although it’s important to keep your entire unit in good shape, having a sharp, debris-free blade will help extend its lifespan and increase its usability. In order to keep your slicer in good shape, you have to give it regular maintenance and clean it after every use. 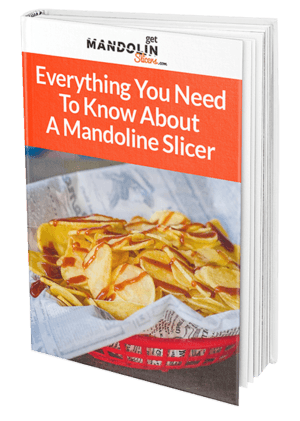 Sharpening its blade is critical to maintaining high levels of functionality, so we’ve put together some tips to help you clean your mandoline slicer properly. Before getting started, remember that a mandoline slicer can severely injure you if you are not careful. Take all the necessary safety precautions to prevent any accidents or injuries. This includes wearing gloves and any other security accessory that can prevent any issues. Secondly, you want to find a flat, stable surface where you can place all parts you remove from your mandoline, including the blade. Make sure the surface is even to prevent any sliding, thus causing possible leg injuries. 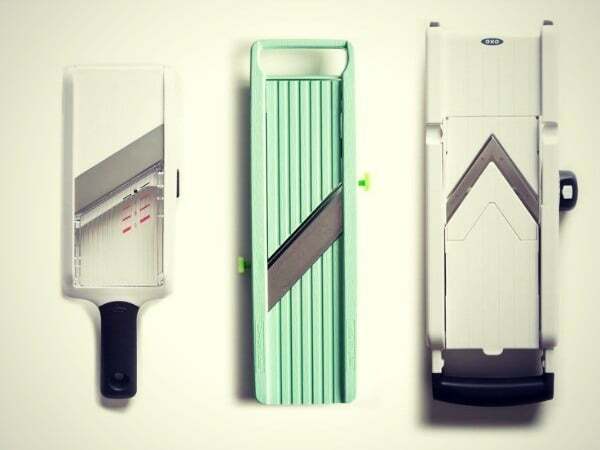 Assuming you have already reviewed the instructions of your mandoline slicer, you should carefully read the manual for your sharpening stone as well. Read through them a few times and get familiarized with your stone before proceeding. Use the necessary tools to remove the mandoline blade and place it to one side. You can also take this opportunity to clean the rest of your appliance, focusing on those hard-to-reach places that are impossible to get when the blade is in. 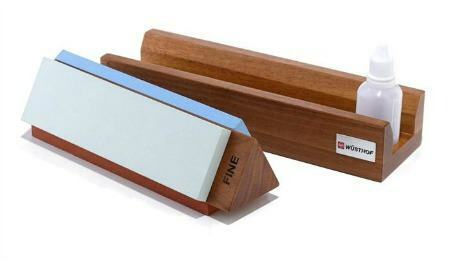 On the flat surface you have chosen, set down your sharpening stone and make sure it’s stable and that it will not slide when in use. Remember that you have to get the right angle to effectively sharpen your blade, so try to position the blade correctly on the stone. Most of the time a 20° angle should do the trick, but double check the instructions manual for more detailed information on your specific stone. After finding the right angle, you should slowly push your blade across the sharpening surface over and over again, verifying that the blade is getting sharper. This may take some practice, but be patient and give yourself time to work out all the minor details. After you have finished sharpening your blade, wash off any remaining debris from your slicer and put it back together. Make sure you have all the tools to tighten all the bits and pieces back together, and double check that they are all fastened properly before using it. 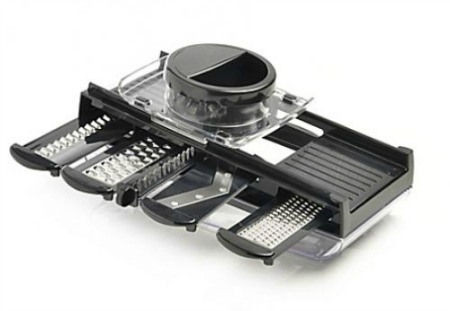 Mandoline slicers are great kitchen additions, and giving them little TLC every now and then can help extend their lifespan significantly. Follow the tips above to sharpen your blade and keep your slicer in optimal condition for years to come.